BEAUREGARD, Ala. (AP) — A tornado that splintered homes, killed 23 people and injured 90 more in Alabama was the deadliest to hit the U.S. since May 2013, when a twister near Oklahoma City killed 24 people. The twister that struck Beauregard , Alabama, was part of a powerful storm system that slashed its way across the Deep South, spawning at least 18 confirmed tornadoes in four states. Mobile homes tucked among tall pine trees were swept from their bases and smashed into unrecognizable piles of rubble. Toys, clothes, insulation, water heaters and pieces of metal were scattered across the hillsides where once towering pines were snapped in half. 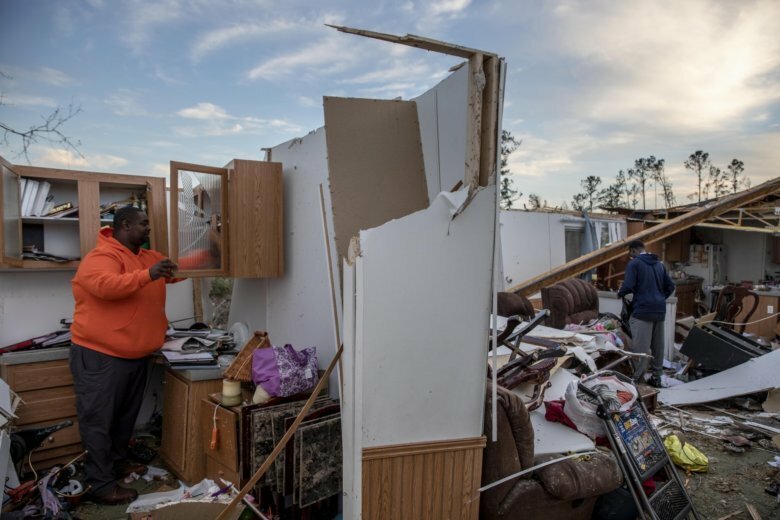 The tornado swept up and scattered the debris so widely that the metal frames of two of those homes could not even be located. Church chaplain Ike Mathews checked on emergency workers who found some of the bodies . “They’re hurting. The community is torn up. They started crying talking about it,” said Mathews, an associate pastor at Rising Star Missionary Baptist Church.